Skylar Diggins has started all four games for Tulsa and is averaging nearly 37 minutes per game, most on her team. Before I was drafted, the summer was my offseason. Basketball ended in the middle of April, school was done in May, and my summers consisted of summer school and preseason workouts. Back then summer meant a little vacation, sun and time at the pool. I would catch up with friends at home once school was done. Now summer has become my job. It means nonstop basketball. This is something new to me. Not basketball, because I've been playing my whole life, but the professional league. My dream has always been to play in the WNBA. The draft was a pretty amazing experience. I've had a bit of a learning curve coming straight from college. But the people of Tulsa have been so welcoming to me and my family. I've met with the Notre Dame Club of Tulsa, and having that Notre Dame foundation has been really special. I grew up in South Bend, and it was always my dream to go to school in South Bend. It was a surreal experience to graduate this year from a school as prominent and respected as Notre Dame. I am definitely missing my teammates. Graduation was just three weeks ago. Spending so much time with those women -- being around them every day in practice and seeing them everywhere on campus -- made us close. That includes pretty much everyone around the basketball office. At this past Sunday's game against the Sky in Chicago, I had busloads of fans cheering me on from Notre Dame and South Bend. I grew up on the south side of South Bend, so there are a lot of Shock fans where I come from. But I'm just getting started here. The difference between now and college basketball season is I'm playing against the best in the world every night. All-stars, national and world champions are out here at each game. With 12 teams, all packed with 11 incredible players, I've had to adjust. These players have been around a long time, even if they've been in the WNBA for just a few years. We have a young team here at Tulsa -- most of us are younger than 30. But whether you have one year or six years of experience, it means a lot to be here. I am learning. Competitive play is contagious. And I have players on my team who let me be me. I can lead and be competitive. It's all about figuring each other out. We're still new to each other, and we have a lot of work to do. I loved when we got Liz Cambage, when she came back. At 6-foot-8, she adds a lot offensively and defensively. To get on the court with her is amazing. I'm still adjusting to Tulsa. It's helped that my family has come down, including my mom, stepdad, aunt and uncle from South Bend, and my dad from Florida. Everywhere you go, people are super nice. There are a lot of great places to eat, including good breakfast and BBQ. You wouldn't expect a little shop to have such amazing food. This is a new thing for me, working through the summer. I hope my friends will be able to visit Tulsa. I also hope I get some downtime to mix in a little summer sun and go to the pool. For complete WNBA coverage and analysis, click here. 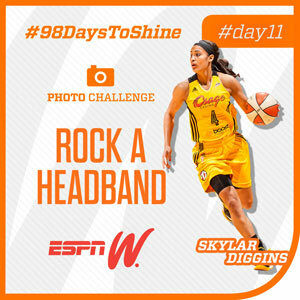 Skylar Diggins is a rookie with the Tulsa Shock and a Notre Dame graduate. 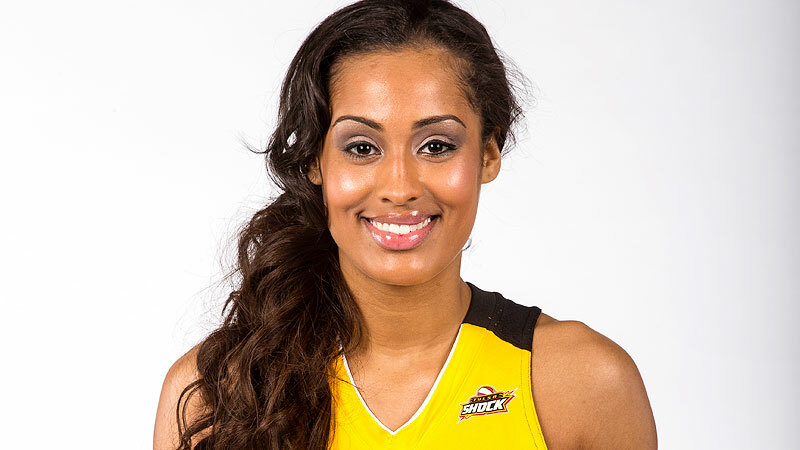 She is the author of a popular Twitter account @skydigg4. The Summer of W wouldn't be complete without postcards from the road authored by some of our favorite athletes.